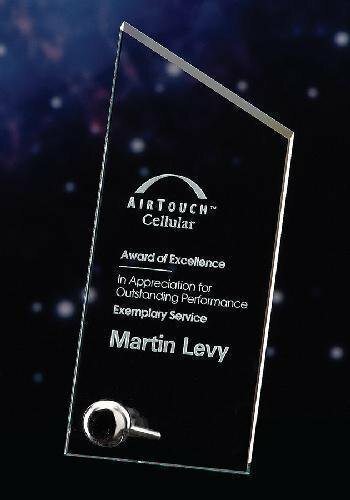 In this award, two amazing spans of polished optical crystal arise from a base, also made of crystal. Express a solid interest in global success with this impressive 4" optical globe. 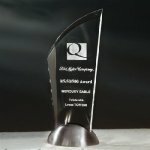 Combined with a cubic optical base, this award becomes a sparkling statement of worldly recognition. A simple yet dynamic line adds interest to the no-non-sense styling of the Studio award. Made of jade crystal, its bevel lends color and attention to the top oblique. A minimal approach carried out by its stainless support and chrome-plated sphere. Hand cut and polished clear acrylic is given a complex bevel and finished with a brushed nickel plated base. 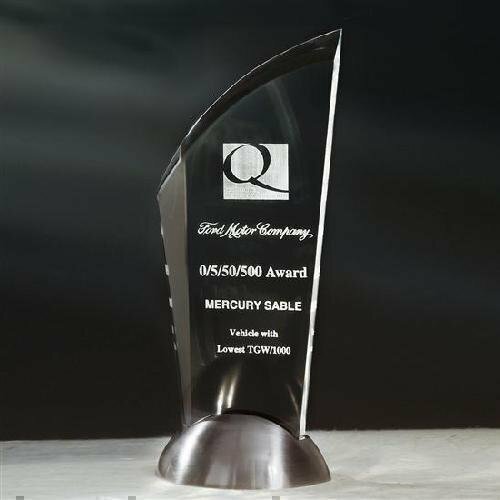 4 1/2" x 10 1/2"
This modern crystal award offers ample engraving space to customize in the best way to celebrate the success of your valued go-getter. Plaque is 9/16" thick. Pure K9 premium optic crystal award handcrafted with beautiful facets. Available in three sizes. 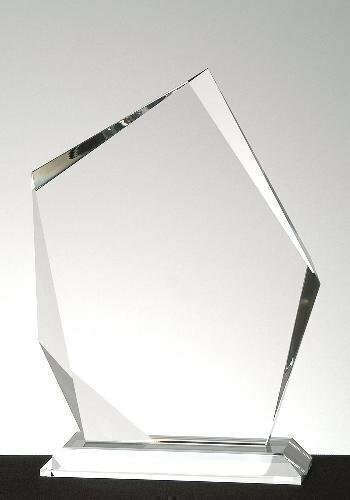 Optical Crystal Summit Award. Beautiful mitered base. This item comes packed in an elegant gift box. Available in three sizes. 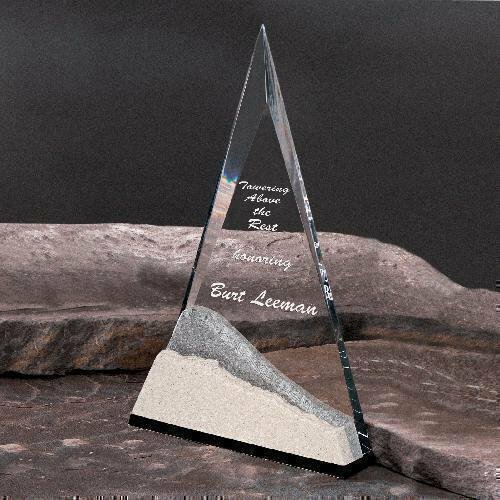 Razor sharp acrylic triangle is accented with jagged 2-tone peaks of mountain tops cast in sandstone and moonstone.